In the mailbox, at the beginning of each month, a payment stub arrives. Representing ~ $45, this windfall has automatically been deposited into my primary checking account. I debate about changing the notification to electronic as it would ease the burden on the environment: harvesting trees to be transformed into paper versus the electric energy required to send an image of the payment. I rationally should choose electronic notices. Yet, I will continue to opt for receiving the paper. You see, this payment stub warms my heart. When my husband Mike passed away, his retirement plan consisted of two parts–a 401K and a pension. To rollover his 401K plan into mine I filled out the necessary paperwork, attached the death certificate and mailed it to Fidelity Investments. To the same financial institution, I sent a death certificate and slightly different paper work to initiate the monthly payment from his pension. I quickly dubbed it–The Flower Budget. With the monthly flower budget, I could purchase at least two small bouquets a month at the local grocery store or farmers market. 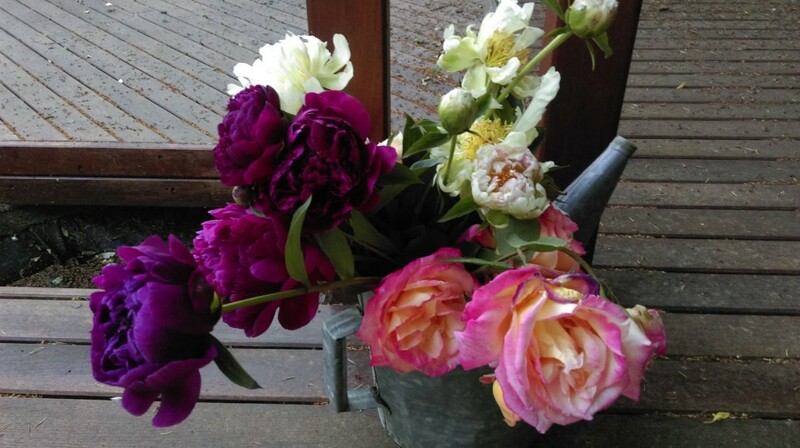 They could be supplemented from plants in a garden we had designed together–a rosemary sprig, a rose, a peony. With visits to a gardening store another spending opportunity could occur–flowers like pansies, primroses or a green ground cover that would greet me as I walk up to the house entrance. Mike often met me at the airport with flowers. We both loved gardens and flowers. 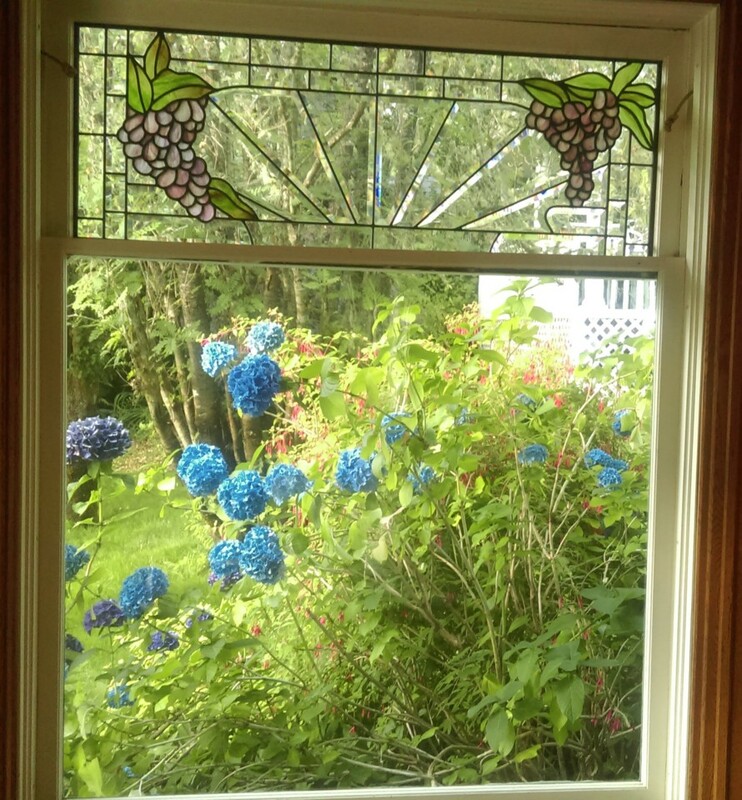 He had a fondness for hydrangeas and clematis while I liked black-eyed Susans and peonies. In selecting china for the wedding registry, we had no argument over choosing Portmeirion Garden Pattern. I had fallen in love with it at my friend Barbara’s house years before. This practical, everyday china depicts different flowers on the plates, bowls and cups. Mike would want me to have flowers on a regular basis. Calling a pension payment “the flower budget,” reminds me of his love. ‘Tis a much more cheerful reminder than pension payment. Dear Reader, please share your comments and stories that are sparked by this piece. For instance, do you do something on a regular basis to honor a loved one you have lost? See “Contribute” for how you can share a story at The Engineers’ Daughter. Portmeirion China comes from the United Kingdom. Here’s the link. Some links regarding the flowers mentioned in this post.